Hello I write a rebuttal to GQ news article, "President Obama Calls for TV Shows with Muslim Characters That Are Unrelated to National Security," written by Nicole Silverberg, February 3, 2016. Article is off setting. First of all my intention is not to be rude on purpose, but to simply be honest to the point. Mr. President Barack Obama, I am a Dine' Indigenous independent filmmaker who graduated from U.C.L.A., M.F.A.-film production in 1986. Since I graduated in 1986, primarily I have been a filmmaker, but I like to create and perform other artistic pursuits as well. Some aspirations have been realized in October-December 2015: screened Navajo Talking Picture and the Graffiti at Indigenous film-video festival, Forumn Doc.BH.2015 in Brasil; Here, There and In Between essay published in Without Borders Volume II catalog, showed still photographs in Pushing Boundaries exhibit and screened the Graffiti in Audit of the Vancouver Art Gallery. Us Indigenous people have lived in North America approximately 16,000 years or more, archaeology information, which is debatable by some Indigenous people who say we always lived here. We never immigrated, as the federal government and others who wish to ignore those facts that we lived here first before the immigrants came over. Since U.S. was founded, the less information about our real histories the public knows, a manipulated history of how the federal government, past presidents of the U.S. removed us forcibly from our lands because the federal government wanted to "expand westward" the better. Also, who's land did the settlers settle or invade -- Indigenous land most likely. I believe in the Doctrine of Discovery, how the U.S. utilized techniques to get rid of us. Robert Miller, Shawnee lawyer's book, Native America, Discovered and Conquered: Thomas Jefferson, Lewis and Clark, and Manifest Destiny, explained it well. Not over yet to resist. Hasn't stopped yet to squash us; some examples, 1. Oak Flats land sacred to San Carlos Apache Reservation where a mining company wishes to mine, a McCain -- Arizona -- set up (I'm from Arizona!) 2. Manipulate behind closed doors to take away water rights from Dine' by lawyer Stanley Pollack hired by Dinè Nation, although Winters Doctrine exists to serve federal recognized tribes. No consultation with Dine' public. In my return to U.S. I viewed during the second week in December on Netflix the Ridiculous Six co-written by Adam Sandler: whatta a hey! Monstrosity about stereotypes, sexist and racist of Indigenous and Mexican people. How our depictions have reversed -- forwards -- never advanced in Hollywood? However, I'm one among approximate 50 or 500 Indigenous filmmakers in the Americas. In Brasil I met and viewed more Indigenous filmmakers' work at the film video festival: positive. List of filmmakers I am aware of in U.S. and Canada are: Loretta Todd, Shelley Niro, Gunargie O Sullivan, Darlene Nepoose, Ramona Emerson, Black Horse Lowe, Billy Luther, Randy Red Road, Chris Eyre, Sandra Osawa, Sterlin Harjo and others. Therefore, we have progressed a lot but does anyone know about us in the mainstream. At least talk goes on that's not about lack of diversity in U.S. mainstream entertainment news, but concerning Indigenous women, our view is greatly consistently ignored on purpose, yet we've lived here longer than any immigrants who lived in U.S. and Canada. Marlon Brando an actor, plus a good actor in the early 70's for a white guy, was the first to raise questions in a straight forward intelligent way about racism and stereotypes of people of color, especially Indigenous people in mainstream film and television whom I will never forget. How many famous white people speak up for Indigenous in mainstream film and television; also, get trashed when speaking up. His celebrity promoted Native American fishing rights in Washington, which eventually ruled in favor of Native American fishing rights, the Boldt Decision, George H. Boldt, 1970, U.S. Supreme Court. Censored News provides a new platform for Indigenous news and writers. In the late 60's, American Indian Movement happened, Black Panthers, women and others. Beyonce's music video refers to Black Panthers. If I had celebrity I'd speak up. Since '86 I've noticed Indigenous people and the rest of people of color in film and television -- the independent filmmakers -- get shut out of the dominant news conversation that focuses only upon Afro Americans and their plight, media's fault. With lack of diversity in the mainstream entertainment news talk, we again are not mentioned in the conversation even by the President of U.S.
Could you please clarify to express in a Censored News news article to everyone about the Indigenous, because the stereotypes are forever a disaster in the mainstream. We didn't "vanish" or become extinct as the majority wishes it to be. We have a lot of right. WE maintained to improve, become better at our efforts to change the system: stereotypes of racism-sexism by independently creating our own films and videos, but the white male dominated mainstream film television industry, won't let us. Been knocking at doors of Hollywood to change stereotypes since the studios began as if in perpetuity. We lived here first and were not discovered, but we endured much inequalities. Thank you for your time and letting me express this. I had to let you know. Arlene Bowman, Dine' Indigenous Filmmaker. Arlene Bowman was born in Fort Defiance, Arizona, on the Navajo Nation. Arlene, a Dine (Navajo) filmmaker and producer, attended school in Phoenix, Arizona. She completed her master's degree in film at the University of California at Los Angeles. One recent project is a mini digital video titled THE GRAFFITI, a 30-minute color experimental drama. 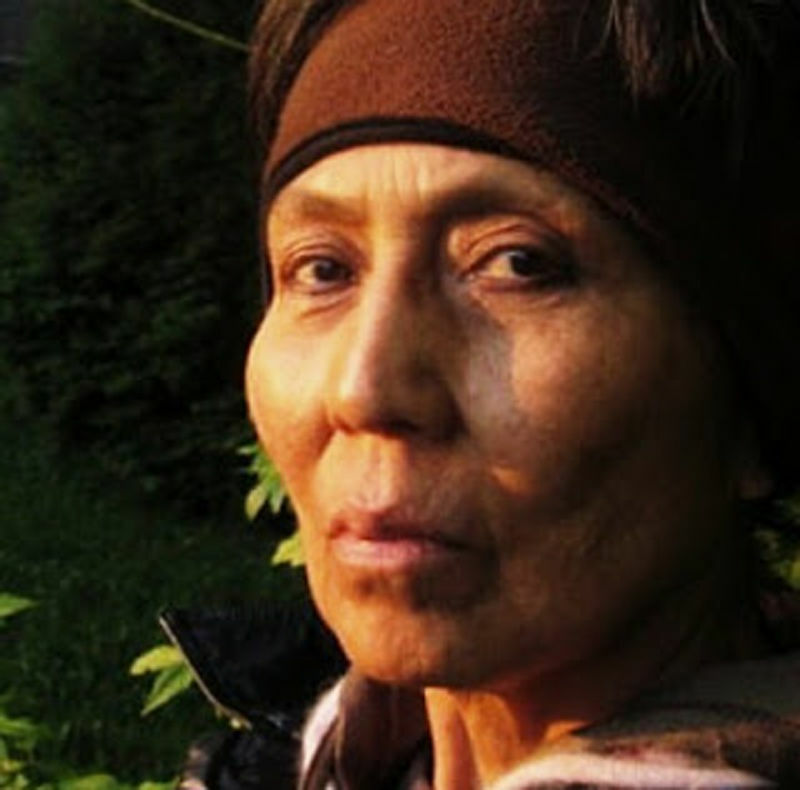 Arlene Bowman’s filmography is mainly composed of documentaries such as the award-winning NAVAJO TALKING PICTURE(1986) about herself and her shima sani Ann Ruth Biah in Greasewood, which has shown in film festivals around the world. SONG JOURNEY (1994), a documentary about Pow Wow women singers who sing songs in a traditional and not so traditional style, broadcast on PBS. However, WOMEN AND MEN ARE GOOD DANCERS (1994), a Pow Wow dance-music video, as well as several video poems (1998 & 2000) represent the break from making documentaries. Although Arlene has produced mostly documentary films, she does not consider herself to be a conventional documentary filmmaker. Since the mid-80s, Arlene aspired to make a drama and THE GRAFFITI represents this first effort. In the last five years, she has begun to perform songs at the open mic, both solo and with her partner. However, this new performance work did not develop overnight, it started during 1977 in Los Angeles with two guitarists, Terry Sullivan and Chuck Bauser from Seattle, who played rock and roll and delta blues music. Also within the last five years, she has begun to write and sing her own songs. Her first completed song called "Southern Dreamin" was included in THE GRAFFITI soundtrack. Presently, Arlene considers herself to be a filmmaker/still photographer who performs, sings songs and recites poetry she has written. The photographs she shoots appear in her blog. In the future, she aspires to create a conference for Indigenous women filmmakers and a nonprofit organization for Indigenous and low-come filmmakers in the United States. Hallo, ik wil reageren op het nieuwsartikel in GQ (Gentlemen’s Quarterly -magazine):“President Obama roept op voor TV shows met “Moslim personages die niet gerelateerd zijn aan de nationale veiligheid“ geschreven door Nicole Silverberg op 3 februari,2016. Eerst en vooral is het niet mijn bedoeling om opzettelijk onbeleefd , maar wel om gewoon eerlijk te zijn. Mr.President Obama, ik ben een Dine’ inheemse, onafhankelijke filmmaker die in 1986 afgestudeerd is aan U.C.L.A., M.F.A.-film production. Sinds ik afgestudeerd ben in 1986 ben ik voornamelijk filmmaker geweest, maar ik creëer en beoefen ook andere artistieke gebieden. 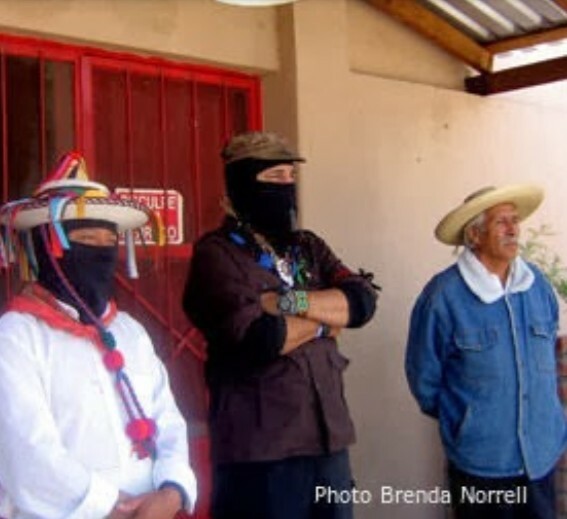 Sommige van mijn ambities werden gerealiseerd in Oktober- December 2015; vertoonde Navajo Talking Picture en de Graffiti op het Indigenous film-video festival, Forumn Doc.BH.2015 in Brasil; ‘Here, There and in Between werkstuk gepubliceerd in Without Borders Volume II cataloog, stelde foto’s tentoon op Pushing Boundaries -tentoonstelling en screende the Graffiti in Audit van de Vancouver Art Galerij. Archeologische informatie bewijst dat de inheemse volken in de Verenigde Staten reeds meer dan 16.000 jaar geleefd hebben. Dit wordt nog betwist door sommige inheemse volken die zeggen dat wij hier altijd al geweest zijn. Wij zijn nooit geïmmigreerd, zoals de federale regering en anderen die het feit dat wij hier als eersten leefden voor de immigranten overkwamen willen negeren. Sinds de Verenigde Staten gesticht zijn; hoe minder informatie over onze echte geschiedenis het publiek kent - een gemanipuleerde geschiedenis van hoe federale regeringen, voormalige presidenten van de US ons met geweld van onze gronden verdreven hebben omdat de federale regeringen wilden uitbreiden naar het westen – hoe beter. Ik geloof in de Doctrine of Discovery (*), hoe de VS technieken gebruikten om van ons af te komen. Het is goed uitgelegd in het boek van : Robert Miller, Shawnee lawyer's book, "Native America, Discovered and Conquered: Thomas Jefferson, Lewis & Clark, and Manifest Destiny". Maar het is nog niet over. Manipulaties achter gesloten deuren door advocaat Stanley Pollack ,om de waterrechten van de Dine’ af te nemen. Dit Ondanks het bestaan van de Winters Doctrine ten behoeve van federaal erkende stammen. Het Dine’ volk werd niet geraadpleegd. Bij mijn terugkeer in de VS heb ik op Netflix de film “The Ridiculous Six”, van co -auteur Adam Sandler bekeken. Komaan zég, wat een wangedrocht van stereotypen, seksisme en racistisme ten koste van inheemse en Mexicaanse volkeren. Hoe komt het toch dat wij nooit vooruit komen in Hollywood? Hoe dan ook, ik ben één tussen de 50 of 500 inheemse filmmakers in de Amerika’ s.
In Brazilië heb ik meer werk gezien van inheemse filmmakers op het film- video festival: wat positief is. Op de lijst van filmmakers waar ik al van gehoord heb in US en Canada staan: Loretta Todd, Shelley Niro, Gunargie O Sullivan, Darlene Nepoose, Ramona Emerson, Black Horse Lowe, Billy Luther, Randy Red Road, Chris Eyre, Sandra Osawa, Sterlin Harjo en anderen. Dus, wij zijn erop vooruitgegaan, maar kom je ons ook tegen in de mainstream? Nu wordt er op zijn minst gepraat over, dat het gebrek aan diversiteit in het mainstream entertainment- nieuws in de VS, behalve met betrekking tot inheemse vrouwen, onze opinies met opzet genegeerd worden, en toch leven we hier al langer dan eender welke immigrant in de VS en Canada. Marlon Brando, een groot acteur was in de jaren ’70 de eerste blanke man die vragen stelde op een eerlijke, intelligente manier over racisme en stereotypering van gekleurde mensen, in het bijzonder inheemsen; in mainstream film en televisie. Dat zal ik nooit vergeten. Hoeveel beroemde blanken zijn opgestaan voor inheemsen in mainstream film en televisie, en niet gestraft werden om het te doen? Censored News biedt een nieuw platform voor inheems nieuws en schrijvers. In de late jaren zestig stonden de American Indian Movement, Black Panthers, vrouwen en anderen op. Beyonce’ muziek video verwijst naar Black Panthers. Indien ik ook een beroemdheid zou zijn, dan zou ik ook mijn stem verheffen. Sinds 86 merk ik inheemse en andere gekleurde mensen op in film en televisie, maar de onafhankelijke filmmakers worden uitgesloten uit de dominerende nieuwsgesprekken die enkel focussen op Afro -Amerikanen en hun lot. De fout van de media. Door gebrek aan diversiteit in de mainstream entertainment -nieuwspraatjes, worden wij alweer niet genoemd, zelfs niet door de president van de Verenigde Staten. Kunt u, in een nieuws artikel in Censored News aan iedereen duidelijk maken dat de stereotypering van inheemsen in de mainstream steeds rampzalig zijn. Wij zijn niet “verdwenen” of “uitgestorven” zoals de meerderheid zou willen. Wij zijn ons blijven verbeteren, werden straffer met onze inspanningen om het systeem te veranderen- stereotypes van racisme- seksisme -door onafhankelijke eigen films- video’s, maar de blanke door mannen gedomineerde film- televisie- industrie laat het ons niet toe. Eeuwig kloppen we aan de deuren van Hollywood, sinds de studio’s begonnen zijn om de stereotypering te stoppen. Wij leefden hier eerst en werden nooit “ontdekt”, maar hebben wel onder de grootste ongelijkheid geleden. Bedankt voor uw tijd, maar ik moest het u laten weten. (*) Uit :Discovery Doctrine: Opperrechter John Marshall rechtvaardigde de wijze waarop de koloniale machten land, dat behoorde aan vreemde soevereine naties konden claimen. Eigendomstitel voor het land lag bij de regering wiens onderdanen een territorium bezetten waarvan de inwoners geen onderdanen waren van een Europese Christelijke heerser. De doctrine werd vooral gebruikt om inheemsen te verdrijven ten voordele van koloniale regeringen.